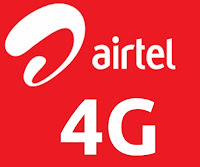 Hello Frndzzz.. www.dealsnloot.com Again Back With New Airtel 3G/4G Trick. Tested on In 7.2 Mbps Modem. First Install NMD VPN. If Already Installed Then Skip This Step. If You Don’t Have NMD VPN Download It From – Click Here to Download Nmdvpn. Now Connect Your Internet And Then – Right Click On NMD VPN Icon In Desktop And Run as Admin. After That – From System Tray Icon Connect Your Net With Your Config. Read More - Paid app - IMEI Changer Pro In Mobile And Bluestack ! Click Here to Download Nmdvpn. Download from below and extract config in SD card. Add Airtel 3G Vpn Config to open Vpn folder. Note - Try this trick at your own risk a i am not check personally but my one of reader say work in Delhi fine.